The monetary matadors at the Federal Reserve have stared into the eyes of mild price inflation for years. They didn’t move a muscle for years and have finally twitched ever so slightly, a couple times in the last few months, with a promise of more. It is the view of Fed Chair Janet Yellen that signs of overheating in the broader economy are “scarce.” The indispensable Grant’s Interest Rate Observer isn’t so sure and devoted its front page and then some of its March 10 issue to inflation and how it’s measured. After all, the price level is the North Star of central bank policy. Grant’s sent its Harrison Waddill to tag along with a “government inflation scout” who was sampling prices for the Bureau of Labor Statistics (BLS) at a New York supermarket. The BLS price sleuth told Waddill, “Sometimes, an item that I’m supposed to price isn’t on the shelf when I arrive.” Remember, there is an army of PhDs waiting at the Eccles Building and other Fed forts to plug price data into their models so as to make the secret sauce that creates our prosperity. Grant’s admits the BLS has a difficult job. “But we wonder about the margin for conceptual error in the processing of the statistics so carefully gathered.” Add CPI and PCE to sausage and legislation as things you don’t want to watch being made. The Fed’s employees, themselves, are blissfully unaware of changes in the price level of things like, say, food. Danielle DiMartino Booth lists the creature comforts afforded central bank employees in Dallas in her insightful new book Fed Up. In addition to a subsidized cafeteria, there is a separate executive dining room. The ex Wall Streeter and financial journalist took a job at the Dallas Fed as the housing bubble was ramping up. She remembers her days on Wall Street when traders ate expensive steaks at their desks, not wanting to miss any market action. DiMartino Booth, with only two master’s degrees, worked directly with three dozen PhD economists who didn’t take her seriously, while they ignored financial news. The economists were satisfied parsing backward-looking data to predict future events using their mathematical models. Financial data in real time were useless to them until it had been “seasonally adjusted,” codified, and extruded into charts. The Fed is said to be “data dependent” and that data includes the price of salads, or whatever, when available. For the moment, its much-watched PCE, “remains quite tame” at 1.9% writes Amey Stone for Barron’s. As for the current Chair, back when she headed the San Francisco branch, “Top corporate leaders in Yellen’s district–even bankers on her own board of directors–thought she was a clueless academic more interested in labor issues than the dilemmas of those running businesses,” writes DiMartino Booth. Ludwig von Mises believed there to be no validity in the idea of price levels. What we know for sure, is what the Fed does is mislead entrepreneurs with ill-conceived monetary monkey business. Sadly, while they rest on their PhDs, they don’t know what they don’t know. 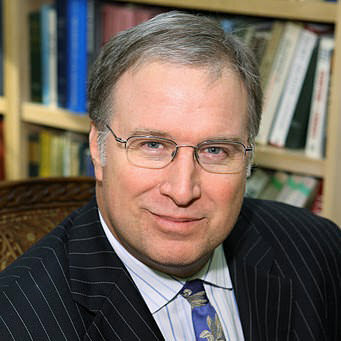 Douglas French is an Associated Scholar at the Johnson Center at Troy University and adjunct professor at Georgia Military College. He is the author of three books: Early Speculative Bubbles and Increases in the Supply of Money, Walk Away, and The Failure of Common Knowledge.